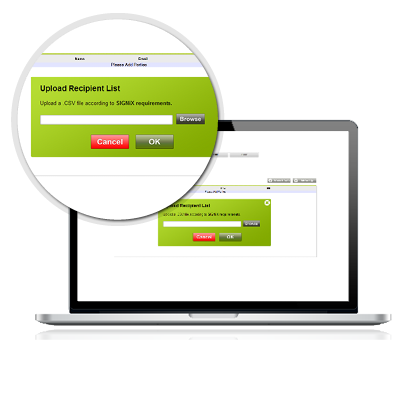 With this new service, SIGNiX clients can easily send documents to a large number of recipients at one time directly from the Document Wizard. 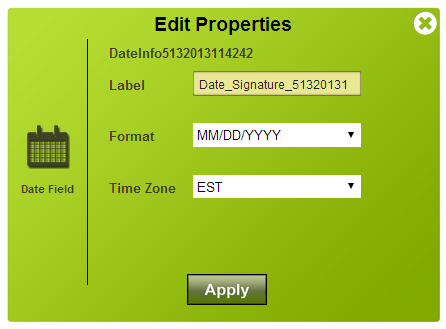 Simply upload a CSV file with the appropriate information for each party, drag and drop signatures and other fields and hit Send. 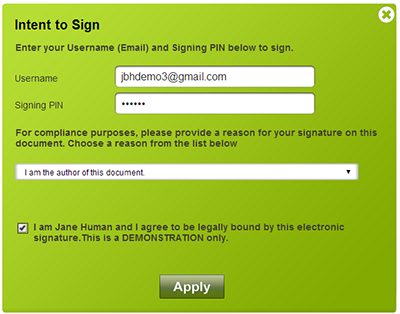 This is a great way to send out human resources or group compliance documents, for example. Learn more about MassMailer at our MassMailer FAQ page. 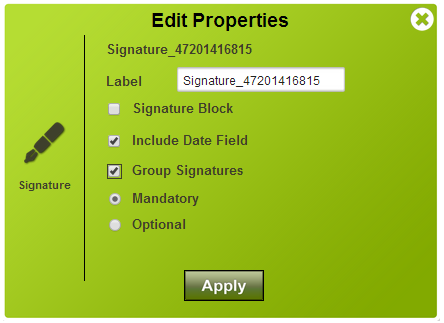 SIGNiX now supports the ability for submitters to group signatures (or initials) in such a way that signing one field will lock out other signature fields. In other words, much like a radio button, signatures can now be made conditional to support signers initialing specific term options or agreeing or disagreeing to a particular contract provision. SIGNiX now features an expanded, dedicated 21 CFR Part 11 Mode to guide both submitters and signers in compliance with 21 CFR Part 11 regulations for the pharmaceutical and healthcare industries. This includes signing reasons, proper authentication techniques and updated Intent to sign dialogs. Push notifications added for Party Complete and Expiration events. Radio Buttons now supported (API Only). When transactions and documents are uploaded via Web Services API, SIGNiX will now recognize and support the proper use of radio buttons in the displayed PDF to signers. NOTE: Radio button field addition is not yet fully implemented in the Document Wizard for drag-and-drop placement. This will be added in a future release to the UI. For preview access to this feature in the Wizard, please contact your SIGNiX Account Representative. Automatic PDF field Recognition and Assignment (API Only). This feature allows PDF forms with existing fields to be submitted via API and have those PDF fields be enabled for all parties automatically without having to explicitly tag them via API. This is relevant for cases in which limitations in integration scope may restrict more explicit tagging or where a workflow requires only one signer. 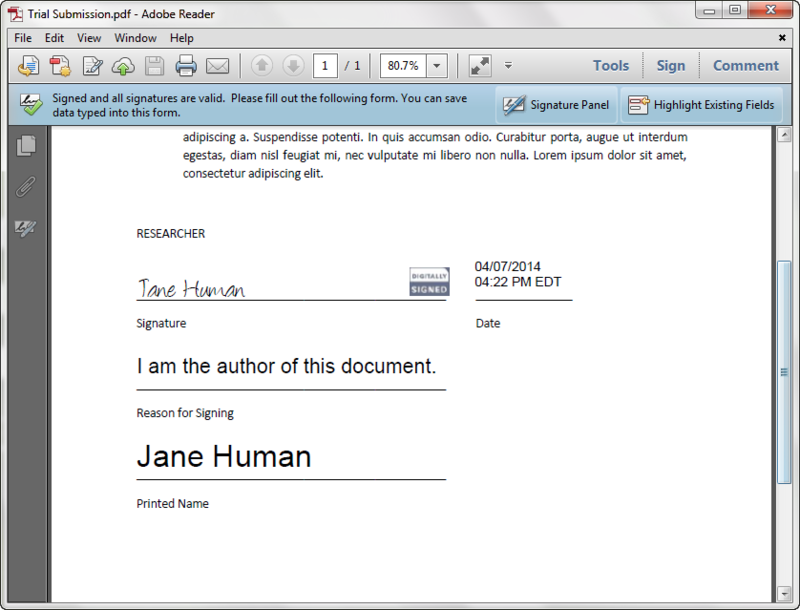 In the Document Wizard, the Quit button has been changed to a Home button for clarity. 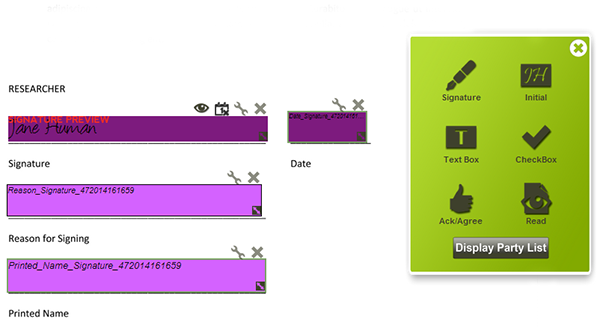 The Quit button would generally bring users back to the Document Center dashboard, but some users may not have understood that. Fixed issue under certain conditions where transaction title would not be updated when using a template. Some less-used UI elements, dialogs, and buttons may appear as they did in an older version. Minor interface issues (tabbing, selections) with users running Internet Explorer 7 and 8 under certain conditions. Note that IE7 and IE8 are not directly supported.